Lakeland Boating Features Boyne City! 2nd Runner Up Winner of the Graphic's "Best of the North West"
to hear what's new at the marina and see some great photos posted by our staff, boaters, followers and friends. The municipal marina is surrounded by beautiful Veteran's Memorial Park host to several festivals and other events throughout the summer. While staying in our marina you'll find everything you need within walking distance including: shopping, laundry facilities, a variety of restaurants & sandwich shops, gas stations, bakery, bait store, pharmacy, and a marine store. From your boat slip you have an unobstructed view of where the lake meets the horizon and the sunsets are breathtakingly beautiful. Slip Rental - There are 42 slips that are a mix of transient and seasonal and both floating and fixed docks. There are no seasonal slips available at this time; however, we do maintain a seasonal waitlist. Seasonal and transient rates. The city's "L" shaped shoppers dock / fishing pier is located just to the south of the city's marina. The inner side of the dock allows for temporary tie up so day boaters can enjoy our community while people can fish off the outer side towards the Boyne River. Shoppers docking is also allowed within the marina if there is availability (permission must be obtained from marina staff prior to tying up). With the new 24 slip "One Water Marina", in addition to the City's 42 slip municipal marina and adjacent private marina, Boyne City boasts over 400 of broadside shoppers' dock and plenty of additional transient slips for any size vessel. Still have questions...just contact us using the information above. We'll be happy to assist you in anyway we can! 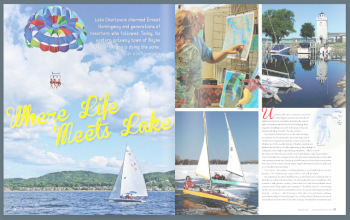 Lakeland Boating Magazine features Boyne City...check us out in the 2014 January issue under "Ports of Call" Read the article on their website or download the January edition of their magazine and flip to page 39. This magazine is a must read for many boating enthusiast across the nation and it is quite an honor to be featured in it. 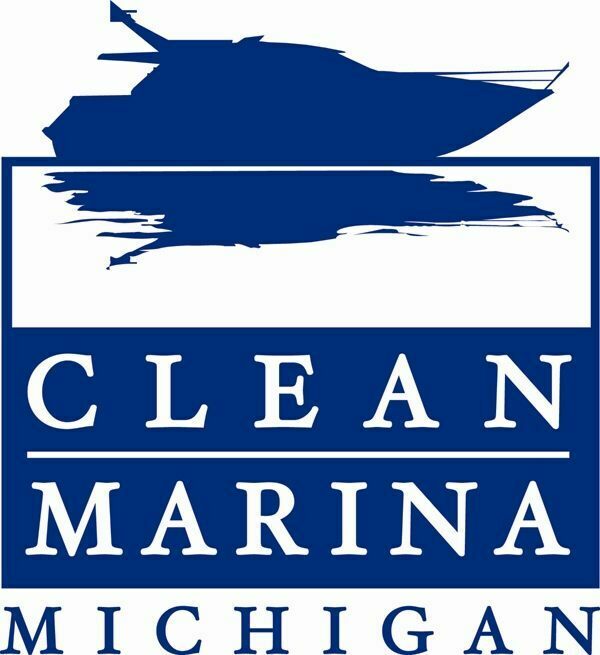 The Lake Charlevoix Association partnering with the City installed a webcam at the marina in the lighthouse. It is set up to take a still photo every couple minutes and posts to the association's website. Click here to check it out! Lynda's Real Estate also provides a great live streaming webcam overlooking the mouth of the Boyne River and out into Lake Charlevoix. Click here. Boyne City's 42 slip municipal marina was only beat out by two private marinas in Harbor Springs. We are best known for our unspoiled, beautiful views of Lake Charlevoix, our active community and our friendly, accommodating staff can't be beat. Check out who else made the Graphic "Best of the North West" list in our area.